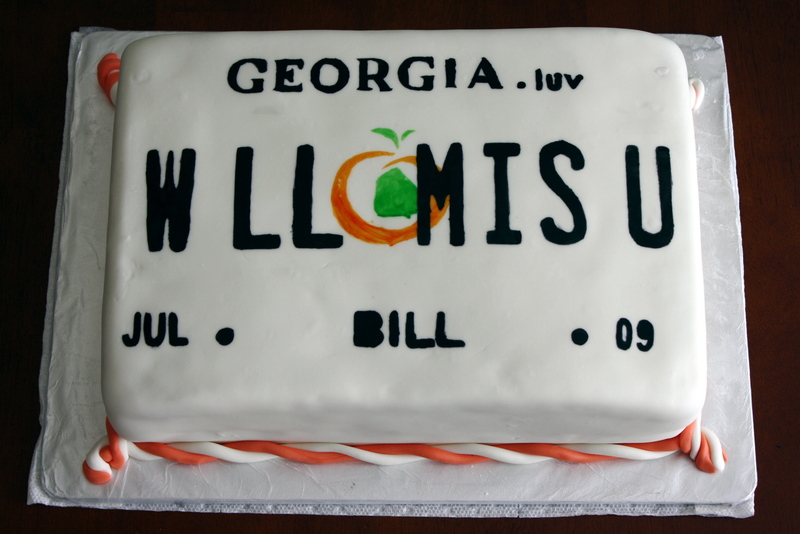 When good friends leave – you give them cake. I used a stencil to do my first cake painting job. The filling was very peachy.